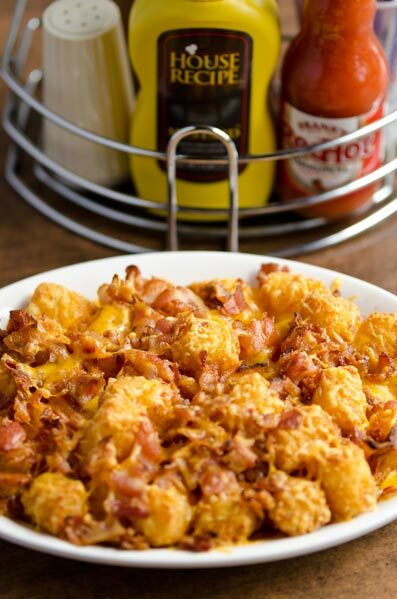 Tots smothered in bacon and cheese. Served with a side of sour cream. Stuffed with pepper jack cheese and bacon. Served with house-made ranch. Battered and deep fried. Served with house-made ranch. Served with house-made ranch and pizza sauce. Served with fresh Michigan salsa. 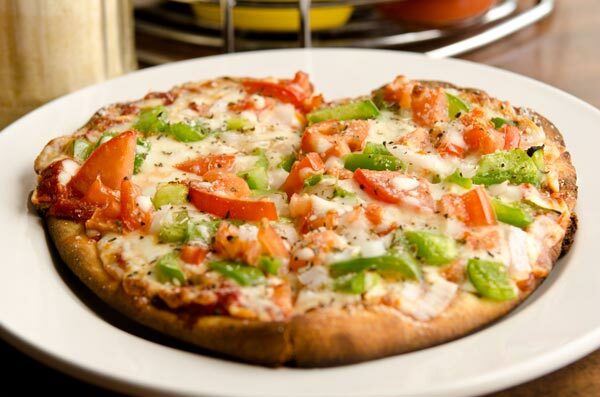 Personal pizza baked on Naan bread, with your choice of one topping. Pizza dough & mozzarella cheese. Served with house-made ranch and pizza sauce. Topped with cheese and served with a basket of tortilla chips. Beans, cheese, lettuce, onion, tomato, black olives, and sour cream. Served with a basket of tortilla chips and salsa. Carrots, celery, cucumbers, and green peppers. Served with ranch dressing and toasted Naan bread. Basket of fries or tots.